mike's KR2 : Finally finished the painting. Check out my pretty girl. Finally finished the painting. Check out my pretty girl. 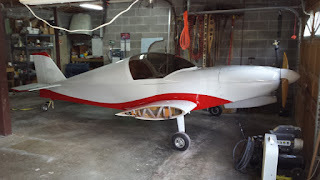 A long time coming but my girl is ready for the airport, just a few little tweaks. Mike Sylvester, Seven years into building a KR2S . I am doubling my efforts to finish as fast as possible.